There’s no beverage challenge BevSource won’t tackle. Whether it is an idea for a flavored beer, hard cider, recovery drink, or vitamin-spiked water, BevSource, a women owned business can help novice entrepreneurs, as well as top beverage companies, put their drinks into the hands of consumers. A veteran of the beverage industry Janet Johanson understands just how complicated it can be to navigate the business. Johanson and her team know how to avoid the pitfalls. 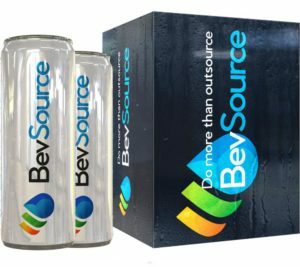 As a one-stop-shop for customers who have sales and marketing savvy but not the time or expertise to incubate a product, BevSource provides its customers with beverage development, production, sourcing, and logistics solutions. Trends in the beverage industry come and go, but the industry itself is nearly recession-proof. In an economic downturn, for example, manufacturers will often produce more store-brand beverages as consumers opt to buy less expensive beers, sodas, and other beverages, rather than give them up entirely. 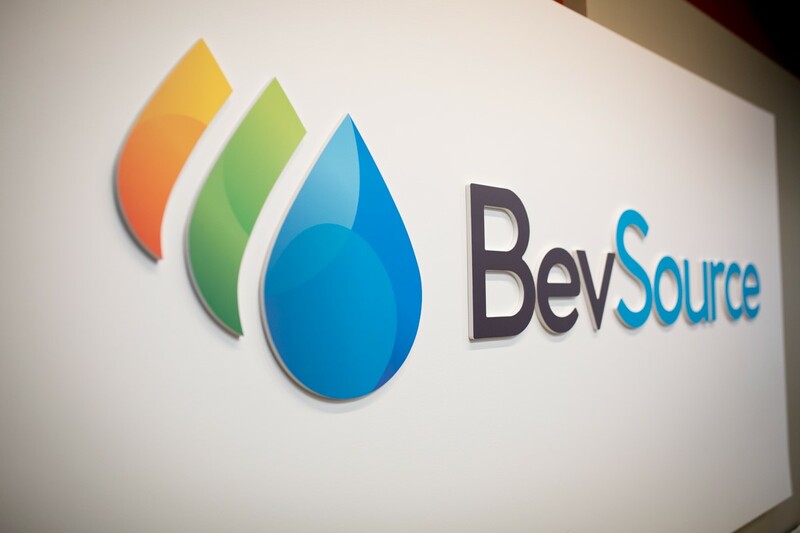 Understanding this need for agility is one of the strengths that has made BevSource successful since opening in 2002. 21st Century Bank, Head of Commercial Lending, Blair Oklobzija and Janet Johanson, Owner of BevSource began working together as banker and client nearly ten years before the project that is the topic of this customer spotlight. The relationship started when he worked directly with her at another financial institution beginning around the 2008 timeframe. Blair was managing a problem parcel of real estate for the bank and Janet was interested in purchasing the property. Blair and Janet worked through the purchase to a successful conclusion. Based on this and subsequent experiences over the next few years, Blair’s opinion of Janet’s business understanding and knowledge of her industry grew to new heights. The direct banking relationship between Blair and Janet ended temporarily with Blair’s move to 21st Century Bank in 2011. From 2011 to 2016, a transition of Janet, her business, and her owner-occupied real estate had been discussed in concept a number of times. However, a significant need on the side of the customer wasn’t there during this period, and a significant need is usually what motivates a move of a business from one bank to another. That need came in mid-2017 as the owners of BevSource mutually decided to enter into Partner Buy-out Negotiations for the Operating Company. Buy-out values for Companies are often predicated on multiples of Cash Flow or Blue Sky. In other words, many situations will have minimal collateral or no collateral relative to the Buy-out Need. Banks need hard collateral to secure their loans, or they can’t make loans, correct? Well, yes at a large percentage of banks that aren’t regular SBA program users. But, this is what a small portion of lender’s, like 21st Century Bank, do very regularly. All of these small percentages of banks would be SBA PLP Lenders or SBA Lenders that can make direct loans to borrowers without submission to the SBA for approval. Once you get over this hurdle of finding one of the few banks that are comfortable with the collateral shortfall associated with SBA loans, the next hurdle that BevSource had to overcome is what we at 21st Century Bank like to refer to as the “what is best for me” mentality. Based on the SBA’s rules and regulations at the time of this transaction, an SBA PLP Lender could make a direct loan to the Borrower without submission to the SBA if the purchaser was placing 25 % cash down on this type of collateral shortfall business acquisition. Whereas, the program at the time allowed for a lower down payment option on this type of transaction; this then triggered a requirement that the loan be sent to the SBA for approval. The downside of this for the bank is that it takes time to submit the package to SBA and in all likelihood, it will take time to answer the questions of the SBA. We have seen more than a few cases, and BevSource was one of them, where the other bank(s) submitting a proposal on this deal wouldn’t offer the lower down payment option because it didn’t fit their profitability matrix, notwithstanding that the customer will benefit from this. An aside to this: it is understood that the lower payment option vs. 25 % down decision could be made for credit reasons—however, if the decision to do this is never made by a bank then logic would lean more to the side of a bank profitability decision than a credit decision. Fortunately for BevSource, one of their banking partner options wasn’t a “what is best for me” bank/banker, in Blair Oklobzija and 21st Century Bank. Blair asked the client whether they preferred the lower payment option (which would take more time for the transaction to get done and more work for the bank) or 25 % down which would be approved directly by 21st Century Bank under it’s SBA PLP License. 21st Century Bank understands credit risk, profitability, and the value of time—however, it also understands that Customer Benefits also fit within this continuum. In sum, the structuring and execution of this part of the transaction was quite easy for 21st Century Bank after assessing the customers’ history; analyzing their current position and listening to their goals with this transaction. We assessed that we had a long time, successful business manager in Janet; a growing/successful company in BevSource (with very good employees); a fair valuation of the company by both Buyer and Seller; and a desire by the Business Owner to choose the lower payment option as they wanted to maintain the extra cash to support the business growth. We structured the product accordingly. This process began in October of 2017, was submitted to SBA by December of 2017, and we were hoping to close by the end of the year 2017. As the 7a loan product was being worked through, we hit a roadblock, which doesn’t often happen for an experienced SBA 7a Lender, but can happen. The Underwriter at SBA had a differing opinion from our opinion of the pledge of personal collateral—they wanted a mortgage on the Owner Occupied Real Estate owned by an LLC related to BevSource. Our view was that Janet owned this with a partner so that she couldn’t pledge it without the partner’s consent and she wasn’t buying out the building; whereas, their opinion was that the partner that owned the building was benefitting from this transaction (the same one that owned the Business). The views from our standpoint were both sound—but, in this case, the partner getting purchased out of the business was not going to pledge a mortgage on the building, as this would bind him to a degree into the purchase. Without hesitation, the experienced banker and the experienced business owner recognized that the only solution was to combine the business partner buy-out with the building partner Buy-out. While Janet and her partner negotiated the purchase price of the building, 21st Century Bank worked through the next challenge with this transaction–the project is now a Conventional Real Estate Loan to buy the partner out of the real estate combined with the SBA 7a loan for business partner Buy-out. In most people’s mind, this transaction just got better—we now have a real estate loan, and every bank does conventional real estate loans, right? However, when combining two projects while utilizing an SBA 7a structure, you bring in the concept of a “Shared Lien Position” on the real estate. Many times this shared lien position will create a direct unsecured portion of a bank’s loan that is being made conventionally to the borrower (Unsecured portion to some degree with no SBA Guarantee). This wasn’t your standard Conventional Real Estate loan. All added up together; we knew that we had some increased amount of Risk of Loss associated with the transaction, but we knew that the Probability of Default was low enough in this case for the above reasons. Risk of Loss obviously only enters the equation if you have a default. The only change that we made on the real estate portion of the loan that differed from standard conventional owner-occupied commercial building loans was we modified the amortization from a normal 20 year amortization to a 12 year loan—this blended the amortization of debt (20 years) on a commercial building with the amortization of debt on unsecured debt (5 years). Janet and her partner agreed on the purchase price of the real estate, and we finalized our approval with the SBA as presented. The closing occurred on March 31, 2017—this was a process that would normally have taken 60 – 75 days (2 – 2.50 months) given the size of the deal and uncollateralized debt involved; however, given the required change in the middle and further negotiations required between the Buyer and Seller, it was a 120-day process (4 months). We are proud to have been a part of Janet’s journey, partnering with her to accomplish her desire to own the Company and real estate outright, ensuring all parties involved were equally satisfied. We were able to navigate through the SBA 7A process, overcoming challenges swiftly and prudently. BevSource is located in St. Paul , MN.